Sally and Eddie are eager to reunite with their dad in Heaven, as they are convinced there's a beautiful afterlife in Paradise. 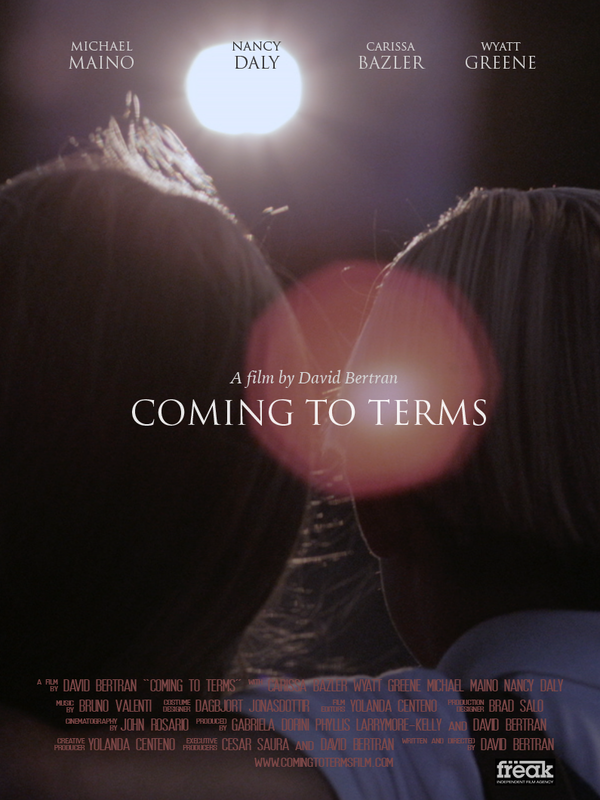 Originally from Barcelona, David Bertran is a screenwriter and award-winning film director based out of Los Angeles. He has been selected at the Cannes Short Film Corner twice and his five last short films have consistently received accolades worldwide. David holds an MFA in Filmmaking, a Dual Degree MBA / Master of Intl. Management, and a Bachelor's Degree in Pharmacy. Avid tennis player, David has also completed two NYC marathons and two NYC triathlons, and fluently speaks three languages. Yolanda is a Spanish producer and director with a strong background in advertising. After graduating from a double degree in Mass Media and Advertising, and an MFA in Filmmaking, Yolanda worked as copywriter for international advertising companies, such as OgilvyOne Worldwide. In 2011, she moved to New York, to pursue a career in the film industry. Yolanda has produced and directed films selected in more than 200 film festivals around the world, winning some prestigious awards that outline the work of female directors and producers in the film industry. Born in Brooklyn, NY, John graduated with Honors from one of NY's top High Schools. Later on, he continued his education at Five Towns College, where, as a Freshman, was nominated for the coveted Best Cinematography Award in a group of upperclassman, a first in the college's history. The following year, nominated again, he received the award, presented to him by Sol Negrin, an honorary member of the ASC. John has been steadily working in the film industry as a Cinematographer, collaborating on feature and short films, commercials, and with television companies that include: Discovery Channel, Comedy Central, MTV and CBS. John had the opportunity to work with Hollywood legends such as Robert England, Karen Allen, Stephen Lang, and Peter Riegert among others.